One final issue involves both the demand and the supply of religion. If network externalities are present in religious participation (i.e., one derives satisfaction from one's religion in proportion to the number of others who belong), then credence may depend in a critical way on the number of believers in a particular form of religion.44 This precept explains why some religions tend to be highly proselytizing; it also helps to explain why violence is often perpetrated in the name of religion. Proselytizing religions engage in activities that privately advertise, cajole, and pressure nonmembers to join. Missionary activity by the Roman Catholic Church from the sixteenth century on is an example of prosely-tization. Jehovah's Witnesses and the Mormon Church are more recent examples of proselytizing religions. In some instances, the threat of reduced utility from loss of members to rival sects, or the very existence of large numbers of nonbelievers, may provoke open military action or brute force. The current threat of Muslim terrorist activity may derive in part from some extreme forms of this effect. Militant Muslims maintain that there are only two religions: Islam and everything else. All believers that are not Muslim are therefore considered infidels, and are not to be tolerated. History is replete with earlier examples as well. The Crusades of the twelfth through fourteenth centuries, ostensibly undertaken to rescue the Holy Land from infidels, was warfare in the name of one religious group against another. Religious wars (some of a highly local character) broke out all over Europe in the wake of the Protestant Reformation. Tensions between Catholics and Huguenots led to violent acts in sixteenth- and seventeenth-century France. Where one religion dominates a religious market, it is not uncommon to find violence as a byproduct of monopoly. Importantly, religious tolerance and religious pluralism are functions of governmental form. Theocracy requires a marriage of political form and religion. 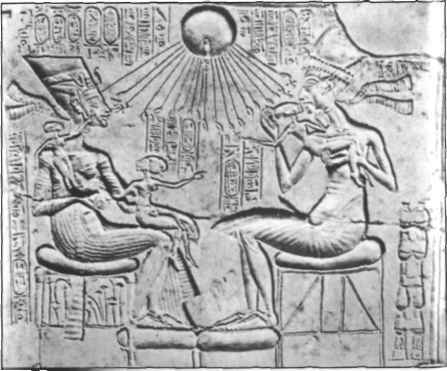 In Egypt, the Pharaoh was a god, and worship and ritual form were dictated by the state. Constitutional forms of government have generally been openly or partially pluralistic. For example, the characterization of the United States as a Christian nation is, given the establishment clause, factually incorrect. The country contains a large number of Christians, but many other religious sects as well, not to mention a sizeable portion of the populace that claim "no religion.'' This does not mean that particular policy positions of a theological nature are not "democratically" foisted upon the general populace. For example, evangelical Christians, including some Roman Catholics, are increasingly attempting through the political process to assure that their theological views of science—on abortion, stem cell research, and other issues—are law for the entire society. Pushed to a limit, a marriage of church and state could result in a governmentally enforced theocracy, which would result in the destruction of constitutional protections of minorities. To be effective religious monopoly must carry enforcement mechanisms—the chief of which would be dictatorial governmental powers as in authoritarian or fascist states. The history of world religions indicates a tendency for religious markets to be competitive in some instances and monopolistic in others. Egyptian religion was for the most part authoritarian and theocratic in nature, with very few exceptions (see chapter 4 for a discussion of one of them). Early Greek and Roman religions were pluralistic, but Christianity in its earliest form was monopolistic. However, it did not become an entrenched monopoly in Europe until it was endorsed by the Emperor Constantine in the fourth century. The "superstar" effect described by economist Sherwin Rosen45 and employed by Iannaccone46 suggests that there might be a tendency toward natural monopoly in religion. This effect is the result of a network externality whereby the utility derived from religion by each person is a function of the extent to which his or her religious beliefs are shared by others. As more adherents of a particular religion are brought together, therefore, the shared beliefs tend to crowd out alternative beliefs. The effect is not unlike the tendency in the business world for firms to conglomerate. Monopolies are difficult to sustain indefinitely, however, because their persistence requires extra-economic forces, such as political or military power as noted previously. However, the more successful a monopoly is in building economic surpluses, the stronger the incentive for rival firms to invade its market. Thus, schisms and other forms of market entry are to be expected in religious markets that are highly monopolistic. We investigate these consequences in chapter 5 with regard to the major religious upheaval of the late Middle Ages, the Protestant Reformation. In a pluralistic society, political action on the part of some groups (e.g., evangelical Christians in the United States) may be viewed merely as a milder and more constrained form of this tendency to violence. Meanwhile, at the other end of the theological spectrum, where theologies are more elastic and self-determined (such as Buddhism and Hinduism), self-security and independence appear sufficient to maintain social peace. So it appears that fear tolerance and the degree of insecurity (both appearing to be partly functions of education and income) determine in large measure the particular sect or theology demanded. And, as a corollary of network externalities in religion tendencies toward violence, political action, or imposition of meddlesome preferences may emerge. Thus, religious forms are both supplied and demanded, and markets, either competitive or monopolistic, are established. But religious markets, like those for types of automobiles or shoes, are not static. Religious markets are in constant flux for the reasons given in this chapter. The full price of religious forms and the demand determinants change as income, wealth, the price of competing religions, science, and many other economic and political factors change and evolve through time. Four episodic examples of this phenomenon are presented and examined in the next chapter.